The standalone The Flash movie has hit yet another snag. Warner Bros. and DC first announced a standalone movie starring Ezra Miller as the speedy superhero back in 2014, but production has been slow-rolling on the project, which still doesn’t have an official greenlight or release date. 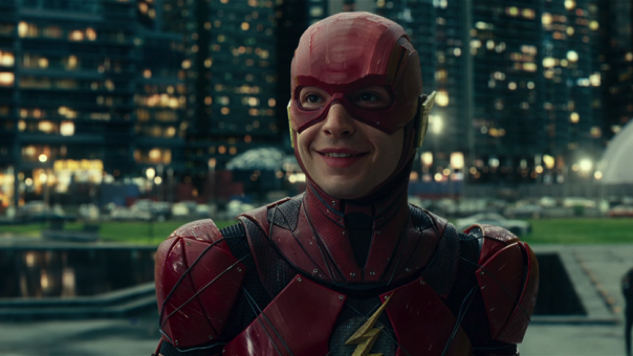 And now, following the disappointing box-office returns of Justice League, which introduced Miller’s The Flash to what’s widely known as the DCEU, the studio is now retooling the original script in a process that will push back the movie’s production start date to late 2019, as sources tell Variety. Production was initially set to start in March 2019, but with Miller already committed to Warner Bros.’ third Fantastic Beasts installment, which starts shooting next July, the Flash rewrites now push back filming to sometime in late 2019. This is just the latest in a long line of setbacks for the troubled DCEU, which has already split with Henry Cavill playing its Superman. The current DC universe is now also confirmed to have parted ways with Ben Affleck, who was set to reprise his role as the Caped Crusader in 2020’s The Batman, which he was originally set to write and direct before being replaced by Matt Reeves. The fate of that production is now also up in the air as the studio recasts its signature hero. The yet-untitled Flash standalone movie is still set to be directed by Spider-Man: Homecoming writing duo John Francis Daley and Jonathan Goldstein, who replaced original director Rick Famuyiwa earlier this year. The project is currently eyeing a 2021 release date, barring even more delays. More confidently, we can say that the Jason Momoa-starring Aquaman standalone movie arrives this December, and next year comes Wonder Woman 1984, which reunites director Patty Jenkins and star Gal Gadot from the franchise’s biggest hit to date. Also on the books are a Suicide Squad follow-up, and a The Joker standalone movie starring Joaquin Phoenix as the Batman villain.